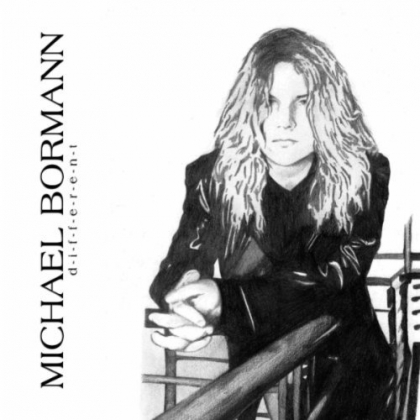 The name Michael Bormann may not be instantly recognisable, but this is a talented musician and producer with a long track record in music. Michael Bormann was a member of Jaded Heart and later joined Bonfire, before leaving. He is currently a member of Charade, along with his former Bonfire bandmember Angel Schleifer, and also has a solo career. As well as working with these bands and countless other musicians. On this album for some tracks Michael plays all the instruments as well as singing, but on others he is joined by a number of guest musicians including Chris Ivo (keyboard player from Jaded heart) and Edenbridge guitarist Lanvall. "Life is a miracle" is one of the most rocky tracks on the album and with its strong tune and chorus this is a stand-out tune on the album. "Somebody" is an acoustic guitar number with a very american feel - and at times the vocals remind me of early Bon Jovi. "Wouldnt let you down" is another slow track. "Was mir geht" is a ballad sung in German. This album sits somewhere between AOR and classic/hard rock, containing some rock songs and some that are more AOR. Its a good album for listening to when you're chilling out, but for me there arent any real killer songs - lots of good songs but none of them scream to be listened to repeatedly.